this station will be indefinitely off the air starting may 4th, 2019. ​*update: currently off air earlier than expected. When I started That One Six Four Radio, I had set out to create the best online music radio station there would be in existence. Too many radio stations either focused on singles that everyone already knew or harped on one genre that it denied the existence of all other genres. I wanted That One Six Four Radio to defy all expectations to radio and be more. I wanted it to be a place of encouragement and a place for you to find new and good music (and little-known artists). I have been creating content for the internet for more than four years. Since I started my blog on November 28, 2014, I created content for the love of creativity and to reflect my God and to "exhume" what is and has been pent up inside of me. But I have not made a penny off of my work. I have created partnerships (namely with Centricty and FlyBy), but never have I ever received a direct commission for my media work. Since I have never held a job in my life, I have been unable to promote myself as I would wish to, buy a domain for my website(s), or to own a radio station. That's why I was overjoyed when I found Radionomy, that gave me a chance to have my own station for free . . . if I reach their requirement. As time in my "free trial" is running out, so is my hope in the station. I have spent countless hours listening to new music to pick the best songs possible for my radio station. I spent some more hours mixing songs, recording and editing interludes, and telling people about it. Despite enthusatic responses, few have actually showed support by listening to it. And while I cherish those moments I spent on my station, my hard work has mostly gone in vain. It pains me to say that, at this current point, That One Six Four Radio will stop broadcasting in early May. Few will mourn the station's passing, but after spending so many hours on it, I shall. I do not want anyone to feel sorry for me. I shall move on. I will divert the time I used to spend on promoting artists to editing and shooting videos for my YouTube channel. YouTube is currently the platform to get discovered and grow an audience. Maybe one day I shall be able to restart my radio station once I get a larger audience. All these words probably mean nothing to you. But it means something to me. If you took the time to read all this, I thank you. God bless, and may he bless your future endeavors. 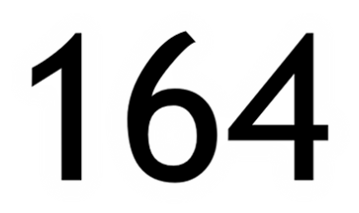 That One Six Four Radio started from a wishful thought to run a radio station that would play music with positive lyrics with a sound that would defy the standard of most radio stations, whether local or online, and . . . to be the place online that would just play my favorite songs. Boasting over 500 tracks with new songs being added every week, the station features songs that are oldies and new releases, songs that bop but some that go slow, and songs that encourage. If you are looking for music to add to your playlist or need to be encouraged, I hope that this station would be the first destination that would pop into your brain. Do you have any thoughts about my radio station? How can I made this place better? Any songs you would like to see added (or removed)? Or anything of the sort (whatever that's supposed to mean)? Let me know! why does the station feature so many genres? ​. . . and me. Duh!